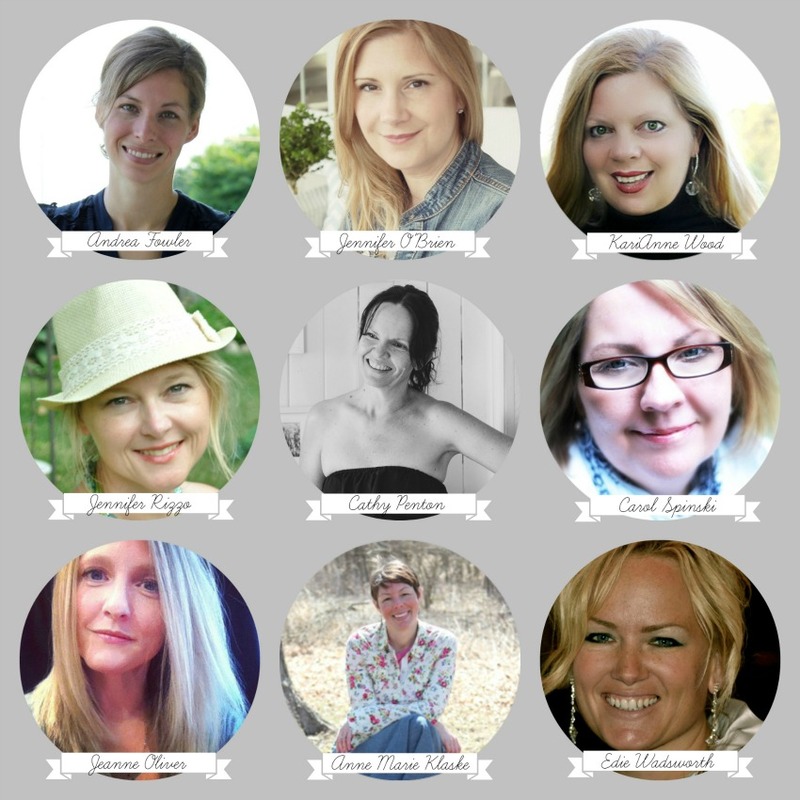 Lemonade Makin' Mama: Home for the Holidays e-course GIVEAWAY!! I am so thrilled to share this giveaway with you guys today. I love this time of year because it seems that so many of the things we celebrate surround the home and opening it to others, something near and dear to my heart. I love the slight chill in the evenings and the bright yellow school buses flashing their lights to let small packs of laughing, eager little ones off. I love hunting for the perfect pumpkin, pulling out the crock pot for meals that scent the home all day and the flicker of candles at dinner. I love the holidays that follow, and the warmth of the entire season. As we creep ever closer to the holiday season, it's always a great idea to decide what your goals and hopes for the coming days are, what is realistic with your family and extended relatives, and frankly, what isn't. I love to spend a bit of time pondering these topics before the flurry of the season is in mid-stride and I'm gasping to catch my breath among the tinsel and crammed schedule. This Home for the Holiday's (Creatively Made Home) e-course is sure to help, encourage, and inspire us as we prepare our hearts and homes and I am thrilled to have the chance to give away three spots to you. The course begins on October 15th, and if you'd like to purchase it for yourself, please visit Jeanne's lovely site, here. 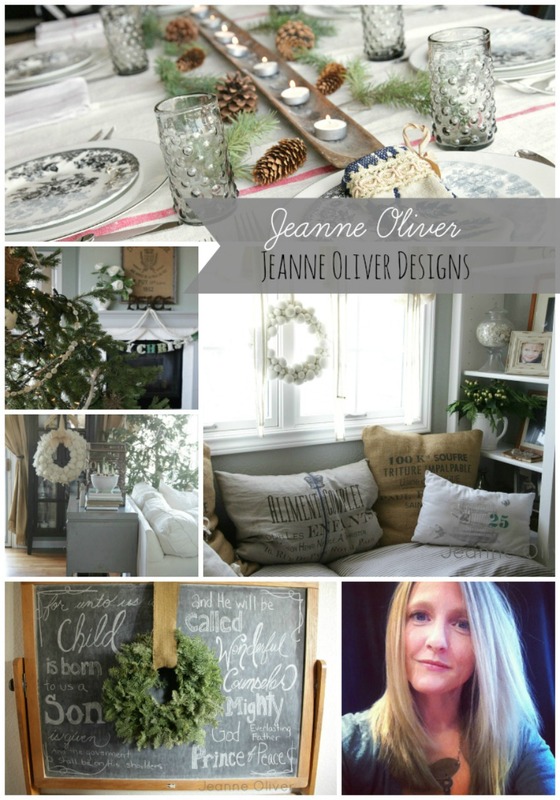 Jeanne says, "Join eight of my friends and me as we celebrate loving on your home, friends and family through the holidays. You will be encouraged as you hear honestly from each woman about the times things did not go as planned during their holidays. You will hear honest discussions about their own journey of hospitality. You will walk away inspired as you hear about the traditions and special moments from their childhood and how they create special moments with their families today. You will be able to watch beautiful videos with gift giving ideas, decorating projects and favorite family recipes. We all want to create authentic moments with our friends and families. We all desire for the ones we love to leave our homes knowing that they were welcomed and loved. My hope is that this course will help you slow down and find the joy and beauty in the holidays." I love everything about the holiday, I love to be with dear family and friends and new memories that are made. More so this year as out boys adoption should be happening any day how and we have set some of our traditions moving forward. This looks like it is going to be a great e-course! I hope your kiddos are adjusting to going back to school! MY Ava started Kindergarten last week and loves it! I love the holidays, Thanksgiving through New Years. We have so many family together times and it's wonderful. I love the Holidays. Family, friends, gatherings and celebrating my Lord's birth! One of our favorite family traditions is to decorate for Christmas the day after Thanksgiving. My daughters and I decorate the inside of the house while my husband and son decorate outside with lights. We all get together for a late lunch/early dinner of leftover Thanksgiving food. It's so fun and we've done it for as long as I can remember. My husband is working in North Dakota so is often gone for many holidays and special occasions. Each time, we try to pre-create :) or re-create an extra celebration day to include him. It's very challenging at times and alot of extra work but so worth it to repay him for all of his sacrifices for our family. I would love to get some inspiration from this class and make this year extra special! thanks for the chance to win Sasha! This is my favorite time of year! 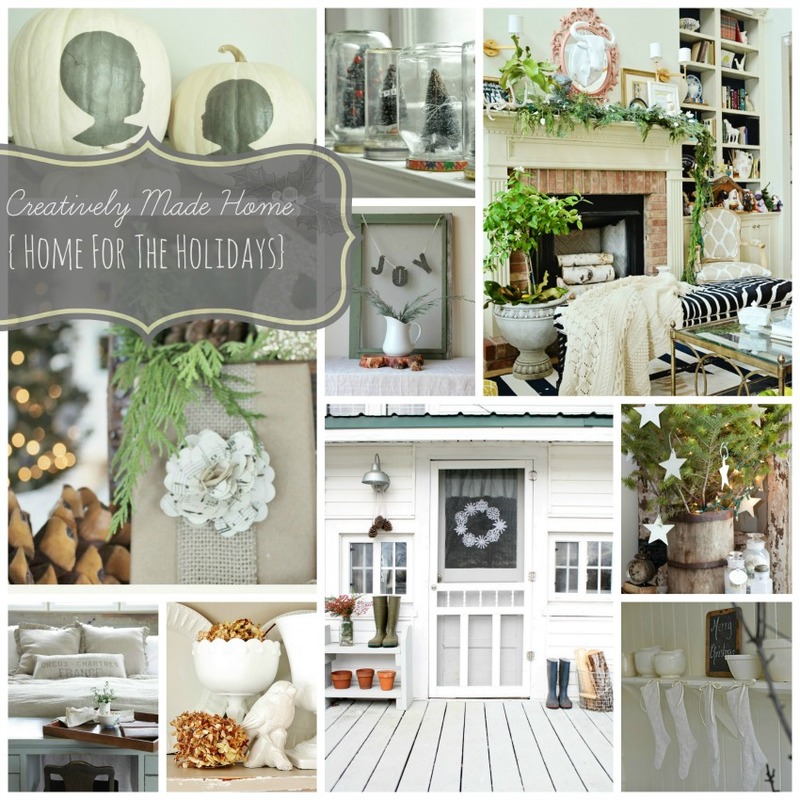 I love the planning and anticipating of Thanksgiving and Christmas and making our home as cozy and happy as I can. My favorite tradition is "friends thanksgiving"! We started it the year I first was on charge of making the big meal for my husbands family. I was nervous, so I did a trial run on all our friends (complete with a frozen pizza in case it was a major flop! Thankfully it wasn't!) & it's something we've done ever since. I can't imagine a year without friends thanksgiving. We love to host family and friends for Thanksgiving and Christmas and we like to invite people who have nowhere else to go so they may enjoy a meal and fellowship. I love the extra time with family around the holidays. The season of Christmas starts immediately after I wrap up the leftover turkey and place it in the frig. I put on Handel's "Messiah" and the next day I start taking down the sweet Christmas decoration tubs and squeal at the contents inside. But, most of all it's a time to focus on how the birth of Christ changed the world and most especially mine. One of my favorite traditions is buying each child a new ornament every year. It now takes a BIG tree to hold all of the ornaments. :) When the child gets married (which 4 of our 12 have) they are given a box with all of their ornaments, and the original list (started the year they were born) with the description of each ornament, the year it was given, and where it was purchased (if purchased on a trip during the year). I am on the lookout for "just the right" ornament for each child, all throughout the year. This year, we are hoping and praying that ALL of the children and grandchildren might be home for Christmas (for a total of 21 of us). It's been 4 years since we have all been together. I would LOVE to take this class, and FILL my home with new decorations and my table with new recipes. I love that we spend our time together, celebrating the birth of our Lord. That we take the time to concentrate on family, friends, and our faith is what I love the most. I love the time with family and how every day leading up to Christmas feels special. This year will be particularly special for our family as it will be my son's first Christmas! i love this time of the year too! i can't wait for the leaves to fall, the colder evenings, high school football and a fire going in the fire pit! thanks for the opportunity to win! It all looks fabulous!! Love the looks of this ecourse! I just plain ol' love Christmas. Love that my kids hold me to all the traditions we started years ago. Love it. This is my favorite time of year! Prepping and planning for Thanksgiving & Christmas! This e-course looks like it will be wonderful! Thanks for the opportunity to win. I love Christmas...everything about it! From the decorating to the shopping to the gift-giving to the eating to all the traditions! And most of all...being able to celebrate that Jesus is born. I love building gingerbread houses with my boys and helping them decorate their own Christmas tree with all their ornaments that they get each year. We also enjoy going through our advent calendar during the Christmas season. This looks like a great course with lots of fun ideas! I LOVE Christmas music...in fact i have been known to play it as early as October when I feel starved for the joy of the season! Our must-have holiday tradition is decorating gingerbread houses with Grandma and all the cousins. We've been doing this since my son was 3 years old, and he's 17 now. We keep expecting that as they get older, he, and the older ones, will want to forego this event, but they wouldn't dream of it! You should see their masterpieces! I can't believe that the holidays are approaching! YIKES!! Would love to win a spot in this class so that I can get a move on. Blessings! luv spending time with family and friends and of course Christmas morning watching the kids opening presents!!!!! We are a homeschooling family and countdown the month of December with an activity every day--a craft, baking, etc. Our month is full of lots of family time and creating and we all look forward to it. One of my favorite holiday memories is Christmas tree shopping with my family on the day after Thanksgiving - going to a local tree farm to cut a tree, then coming back home together to set it up and decorate. Wow! The course looks amazing. I spent a big part of my childhood in Switzerland and really wanted to bring some of the traditions I grew up with to our home. For the last few years I have been making a traditional German sweet bread, Weihnachtsstollen, for Christmas morning. We add our own family twist to it and put candles on it and sing Happy Birthday to Jesus before stocking and presents. So fun : ) Thanks for a great giveaway! It wouldn't be Christmas Eve unless my husband reads The Night Before Christmas (the gorgeous pop-up version) to my kids. They are 18 and 21 now and he has read it since my daughter was born almost 22 years ago, when we were still in the hospital after her birth! I can't pick one favorite part of Christmas...watching my kids open their gifts, going to The Nutcracker, parties....I love it all. We just moved into our first house this past month so it will be a Christmas and holiday season full of "firsts" while bringing in the past few years' traditions, decorations, and recipes into this home. I can't wait to figure out where we should put the Christmas tree, how we're going to hang our stockings, and make the house fill with yummy holiday smells. p.s. I've pinned this post too! Thanks! Aside from the food, we change it up a bit every year at my house. Our goal last year was to surprise a family, going through rough times, by leaving a surprise gift bag at their door step, anonymous of course with a little note. We enjoyed it, perhaps we can do it again this year for someone else, who knows. My husband goes into the woods behind our house right after thanksgiving, and cuts a small pine. he digs a hole in our field and puts solar lights on it. It looks like it has always been growing there. Last year he did it to surprise me! I loved it. I love all the food and the family gatherings that the holidays bring! Even though it all seems so busy there are always so many memories made! First Thanksgiving dinner at my house. Sister brings boyfriend from out of town too! My dad is praying for dinner, and my son (1 year old) is sitting in the floor. The boyfriend and I hear a ridiculously loud noise and look at Lennox. It's coming like lava right out the back of his diaper all over the floor. The prayer immediately ends as I scoop him up and try to avoid dripping al the way to the changing table. We clean him and the floor and I put him in my lap and he looks down at my dinner plate reaches for the potatoes and lets out two huge sneezes leaving green goo all over my food. New plate of food, baby back in the floor and it's time for dessert. The boyfriend drops the entire pie face down in the floor. I was worried he might not come around for awhile, and he just married my sister last weekend! This sounds so neat! The holidays tend to stress me out so I could use all the help I can get in slowing down and enjoying. My favorite part of the holiday season has to be all the wonderful smells from cinnamon candles, apple pie and the smell of fireplaces keeping people warm and cozy in their homes! I love everything about the holiday season. I really go into overdrive with the decorations and the cooking for my family. My kids love to see me decorate because it gets them excited too! They will be like "Oh wow, Mom, that looks beautiful." I have bought them little Christmas trees to go in their rooms so they can decorate it the way that want. They really love that! Thanks so much for the giveaway. Would love to win! This is my favorite time of the year and I'm always looking for ways to keep it simple to really enjoy it! I love the scent of candles burning and cookies baking, the sound of Christmas music wafting about the house, and the fun memories we make as a family! I love to decorate for Christmas, the best part for us is lighting the fireplace and turning all the lights off and sitting around talking. Thanks for the chance to win! I love everything about the Christmas season. I love turning on the fireplace, decorating the tree, the music, the smells, the pretty lights, the excitement on my little boy's face, the family time, and the reason for celebrating...Jesus' Birth! A few years ago I went through several Christmas' in a row where I tried to be super-woman. And basically, I over-extended myself every December and right after Christmas, I'd get very sick and find myself in the doctor's office. Last year, I decided to change all that and just do the things that I love. I let go of some things I "thought" were obligations and I ended up enjoying the holiday so much. And, I didn't get sick. :) So, to me, this class sounds awesome! My daughter was born on Christmas Eve. That was truely the best Christmas I ever had. I love the holidays but they tend to stress me out so I could use this course to learn how to slow down and enjoy the holidays! Oh boy! What a great giveaway! Gets me excited for the holidays to arrive! Thanks for the opportunity. My favorite things about the holiday seasons are decorating, cooking and sharing it with family and friends. By the way, love the new guest room redo. home made pies, fire pit starting Christmas cards the day after thanksgiving. Christmas is moving to my house less visitation more relaxing with my girls. I would love some ideas from this series since the holiday traditions are still brewing in a home of little ones. Cooking, decorating and the cozy feeling of the holidays are the best time of the year! My favorite thing is creating traditions for my daughters. I love watching their faces light up when we drive around looking at Christmas lights, when we plug in the tree at night, and when we pull out the nativity set and let them play with it. There are oh so many things I love about the holidays. I don't think it would be Christmas though without baking ~ I have collected my grandmothers recipes and added a few new favourites to the list. I spend so much time making little cookies and squares and cakes ~ then do up trays for friends and neighbours and a big tray to take to work. Oh and lights and Christmas eve service at church ~ lighting the candles and singing Silent Night ~ I always cry.